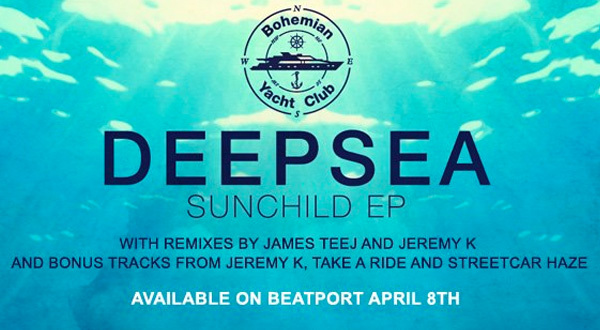 DEEPSEA, produced by Jeremy Kesten, brings the second release to the Bohemian Yacht Club Music label with the ‘Sun Child’ EP. This EP features three very distict cuts of Sun Child, along with a radio edit of the original. 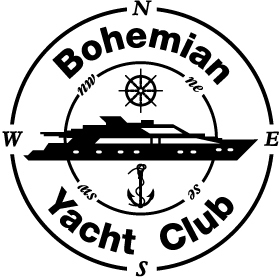 The original mixes, with delayed dubby guitar and synth sounds, creates an acoustic sounding dance track with melodic vocoded vocals. The ‘Jeremy K Deepsea Explorer Remix’, breaks the original down to its minimal roots and picks up a deep house feel that leaves you feeling you’re exploring the depths of the deep. The James Teej Sun Spot Remix opens the flood gates with more moody and techy revamp. This release also includes two bonus tracks from Jeremy K, Take a Ride feat. Deepsea and Streetcar Haze.